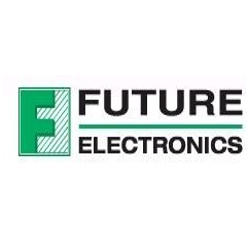 Future Electronics, a global leading distributor of electronic components, recently won the award for most New Business Opportunities in 2017 from Epson. Robert Miller, President of Future Electronics, thanked his team for their yearlong commitment to Epson, and congratulated everyone who contributed to the company's success. "Future Electronics brought so many new business opportunities to Epson in 2017," said Lisa Liotta-Valine of Epson. "We're really looking forward to growing our outstanding partnership together." Epson is a world leader in quartz crystal technology and a leading supplier of high-performance components, including integrated circuits and crystal-based electronic devices. "We're honored to be recognized for our work in generating new business for Epson," said Heather Goldsmith, Marketing Director at Future Electronics. "We're grateful to Epson America for this award, and we're very excited about the future of our partnership." Robert Miller, President, founded Future Electronics in 1968, and believes that the company's greatest assets are its employees.